Brakes Zone provides a front and rear differential service as well as transfer case service to determine if there are issues with your car’s turning system. The differential is the mechanical component that spins both the left and right wheels, but lets them rotate at different speeds so that the vehicle can make turns. When a vehicle makes a turn, the outer wheel has to turn faster than the inner wheel, due to the difference in the length of the paths they take. The differential is located between the two wheels, and is attached to each wheel by an axle shaft. Four-wheel drive vehicles have a separate differential for each pair of wheels, connected through a transfer case. Differential and transfer case fluid provide lubrication to gears, bearings, shafts and other internal components. Heat, pressure and friction can slowly breakdown the additives in the fluid. In addition, small particles of metal and clutch material may come off as they wear and these particles can mix with the fluid. Fluids can also become contaminated with water. Looking to save on your next front & rear differential service or transfer case service? 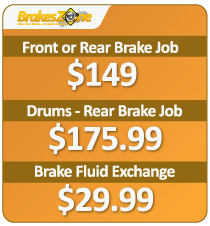 Brakes Zone offers great savings with our car services coupons to help you save even more! Some are identical to transfer case service. Some vehicles may require additional costs, due to having to reseal differential cover; if leaking or if that is how we need to drain differential fluid. 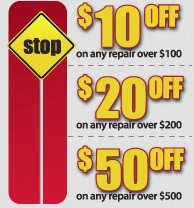 Check out our great maintenance coupons.